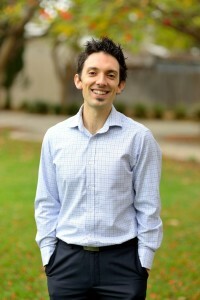 As a CPA practice with a Registered Company Auditor permanently on our team to attend to every auditing need, from external audits and internal audits to funding acquittal auditing, to self managed superannuation fund audits, Francis A Jones has the experience and the expertise to audit your business or organisation. Often we find that even though our clients need to have auditing completed due to compliance requirements, many do not really have a deep understanding of auditing, and the benefits to their organisation. In simple terms, an audit is the process of examining a system, business, or project to ascertain the quality and accuracy of information contained in its/their records. In accountancy terms this usually refers to financial audits, which test and verify the various items of profit and loss and balance sheets, so that users of these reports can make decisions based on reliable and accurate information. But apart from verifying information, a rigorous, robust financial audit can help you identify strengths and weaknesses within your organisation, determine ways to improve productivity and reduce costs, and give you the tools you need to build in your success. Additionally, and because we have over eighty years of taxation and business experience, FAJ auditors don’t just locate errors and discrepancies, we actively help clients to rectify problems and improve systems so that problems don’t re-occur. Income tax, GST, payroll tax, and leave calculations are some of the many areas where we’ve identified and rectified potentially costly issues for our audit clients. As a long standing accounting business we understand accounting systems including software, and constantly provide suggestions on ways to make these more accurate and efficient, or to improve reporting for Board members. At FAJ, as Fremantle’s largest auditor, we conduct many different kinds of financial audits, and we have developed a range of specialised services to provide our clients with the auditing expertise they need. 1. Qualifications – many audits are required to be performed by a Registered Company Auditor, an ASIC qualification that has become increasingly difficult to obtain. Our audit manager, Daniel Papaphotis, is a Registered Company Auditor, with years of audit experience. 2. Experience – Francis A Jones has been providing audit services for more than eighty years, together with taxation and other business services, and we are the largest Fremantle auditor. We are highly respected by regulatory bodies and have a large portfolio of long standing clients. Our 50 plus strong team consists of experienced people, most of whom have been with us for ten years or more. 3. Value – most auditing services are provided by CBD practices with big structures and big rents. They generally have a minimum fee level before they will even consider performing an audit, which means small to medium organisations end up paying large organisation audit fees. We specialise in performing audits for small to medium entities, and at a realistic fee, but we never compromise on the quality or thoroughness of our audit procedures. 4. Value adding – when we find errors or discrepancies we provide practical advice on ways to improve systems and procedures, to ensure these discrepancies don’t re-occur, and we pro-actively look for ways to assist in all other areas of taxation or business requirements. 5. Reliability – many organisations have reporting deadlines; AGMs, report printing, lodgements etc. Francis A Jones auditors make sure they know your deadlines and theirs, and they don’t miss them. It’s as simple as that. Our audit administrator pro-actively schedules all audits well ahead of time, and you’ll be kept informed right through the process. Clubs, associations, arts and cultural organisations, unions, charities, childcare organisations and many other not for profit organisations require regular auditing to satisfy the requirements of their constitution, to protect members and to meet legislative standards. Importantly, legislation took effect from 1 July 2016 that requires many clubs and associations (those with a turnover exceeding $250,000) to have an audit or review conducted for the first time. For some, the audit can be a simple process. However those that operate bars or entertainment facilities, process ticket sales, own and manage valuable property, or disburse funds, demand a more intensive and comprehensive auditing system. The FAJ Auditing team provides high quality auditing services based on decades of experience in dealing with not for profit organisations of all sizes and types. The FAJ Fremantle Auditing team offers full financial audits, investigatory audits, internal audits and compliance audits for these kinds of organisations and more. Our respect in auditing is such that we are the appointed auditor for Clubs WA (the peak industry association for over 900 WA clubs) and we are recognised by Clubs WA as the preferred auditor for Western Australian clubs. 1. Pre start – your first contact will be with our Audit Administrator who will schedule a commencement date and provide you with a short questionnaire that assists our audit process. We will also ask you to sign a bank confirmation request, which is then forwarded to your bankers for processing. 2. Planning – all of our audits are meticulously planned so that the audit process is smooth and efficient, and causes minimal interruption to your busy day. An audit manager or senior will meet with you prior to commencing the audit, and your brief allows us to thoroughly understand your organisation. We undertake a risk assessment for all audits so that we can focus our audit on the most important areas, and identify weaknesses that we can help you to strengthen. 3. Testing – the testing process generally involves taking statistical samples of transactions and verifying their existence, nature and purpose by reviewing source documents. This part of the audit is usually conducted at your premises, but it is possible for you to send documents to our office for testing if preferred. Depending on the size and nature of the audit, we may assign one or more auditors to the testing process. Testing is often completed within a day, but may take longer for larger or more complex assignments. Testing may also extend to sighting the existence of assets, attending stock takes, or just talking to key staff members to understand certain transactions. 4.Review – all audit files and work papers are reviewed by our audit manager prior to finalisation and sign-off. This is conducted at our office and does not take any of your time, although there are sometimes matters discovered in the review process that may require further information or clarification from you. 5. Finalisation – the audit is finalised upon issue of a signed audit report and a management letter highlighting any weaknesses and recommendations. We will always work with you to ensure that we understand and meet your deadlines. Following completion to your satisfaction, we will issue an invoice for our services, and provide you with a clear quote of our fees for the following year audit, so you have complete certainty for budgeting purposes. Certified financial statements on income and expenditure are required for private schools – whether the report is for the School Board, the Department of Education or the Catholic Education Office. Conducting a great many such audits every year, the Auditing team at Francis A Jones has developed a powerful and efficient approach to school audits, and is highly regarded by the various educational bodies. The FAJ Self Managed Super team specialises in setting up and assisting with the operation of individual SMSFs. Part of our expertise is in providing SMSF audits for financial and compliance purposes, and we have performed thousands of these audits over many years. An annual audit is essential in the ongoing management of the fund, and is a requirement of the Australian Taxation Office. SMSF Trustees have many obligations by law, and we are seeing increasing action by the ATO where Trustees (often inadvertently) breach these rules. As part of our SMSF audit, we identify and report any compliance issues to the Trustees, and assist them in preventing or rectifying any compliance breaches. With our specialist knowledge in all areas of SMSF, including taxation, retirement, pensions and SMSF strategies, we are perfectly positioned to give timely advice to trustees as part of the audit process. The FAJ Auditing team’s expertise in SMSF audits is so highly regarded that we provide this service to other accountancy practices that do not have the resources to carry out this mandatory task. Any company or organisation that operates a trust bank account in which client or customer funds are held in trust, must abide by certain rules and regulations. This includes having each account audited on an annual basis by a Registered Company Auditor. Each year a compulsory annual variable outgoings audit determines the precise expenditure on each of these items for the centre as a whole, and centre management distributes the report to each of the tenants. That way everyone has evidence of what the centre is paying, and can calculate whether their share is fair and equitable. VO audits can only be conducted by a Registered Company Auditor. The VO auditing specialists at Francis A Jones conduct audits for shopping centres and precincts from Yanchep to Armadale, the Perth CBD and south to Rockingham. Our understanding of the way shopping centres work is second to none, and our team is prompt, efficient and professional. If your not for profit organisation, club, school or child care centre operates with the help of funding through grants or other mechanisms, a condition of the funding will require substantiation of the receipt and expenditure of the money. Our Auditing team undertakes funding acquittal audits as part of the not for profit auditing process, or we can arrange a separate audit if you prefer. People who own strata titled properties – particularly those in which the strata is not managed by a real estate agent or strata management company – often turn to FAJ Auditing for the peace of mind our expertise can bring. The task in a strata audit is to test the company’s collections and outgoings and ensure that all expenditure is made according to the rules, regulations and constitution of the strata company, and that the funds are correctly managed. 1. Peace of mind – strata owners contribute regular levies for common strata expenses or to maintain or improve the strata complex. Owners want to know that their levies are being put to the best use, and a strata audit provides this. A strata audit also has benefits to strata managers or committees who want to provide transparency and reduce unnecessary enquiries or concerns by owners. 2. Accuracy – strata records are often maintained by volunteers or others who have good intentions, but limited experience in producing accurate and meaningful reports for owners. A strata audit will ensure that all reports are accurate, consistent and professional. 3. Owner protection – strata audits can detect important omissions or discrepancies such as underinsurance that can put the owners’ assets at risk. 4. Financial – strata audits may detect unpaid levies, overpaid expenses, mismanagement of funds or even fraud. These things all impact on the cost of levies for the owners. 5. Taxation – all taxation and GST obligations are checked during a strata audit so that owners are comfortable in the knowledge that they are compliant with the various taxing authorities. The FAJ Auditing team will conduct your Strata Audit thoroughly, efficiently and professionally, so that owners can rest easy and be assured that there levies are put to best use. There are many reasons why a company or organisation may have an internal audit or review conducted. These include identifying theft or fraud, progressive auditing that produces reports usable by independent auditors at the end of the reporting period, or to assess financial capabilities, productivity and growth capacity. A system review can uncover all sorts of inefficiencies that might be costing your business or organisation unnecessary costs, providing inaccurate information, or impacting negatively on customer service. Whatever reason you have for requiring an audit, the FAJ Auditing team have the expertise to professionally carry out the job. Our experience in investigative auditing is matched only by our ability to produce reports that offer genuine insight into the state of the business for planning purposes.